So I emulated the same in a demo tenant, in fact that is where these screenshots came from. 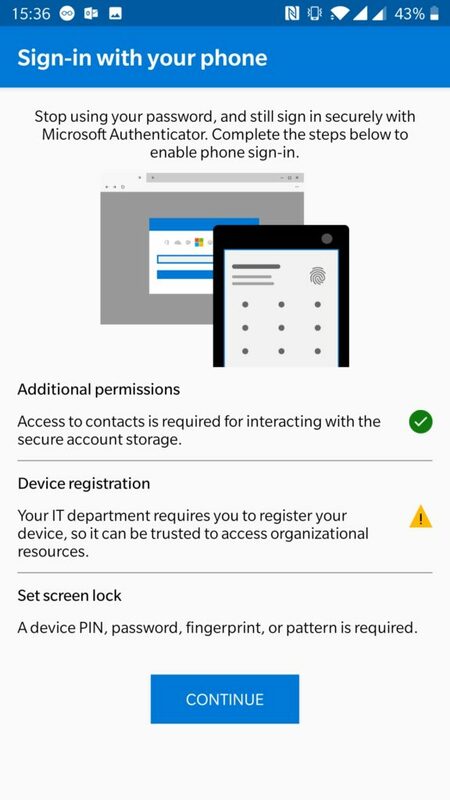 I can confirm that as long as the user has registered for MFA and meets the Authenticator App prerequisites, Phone sign-in works perfectly. 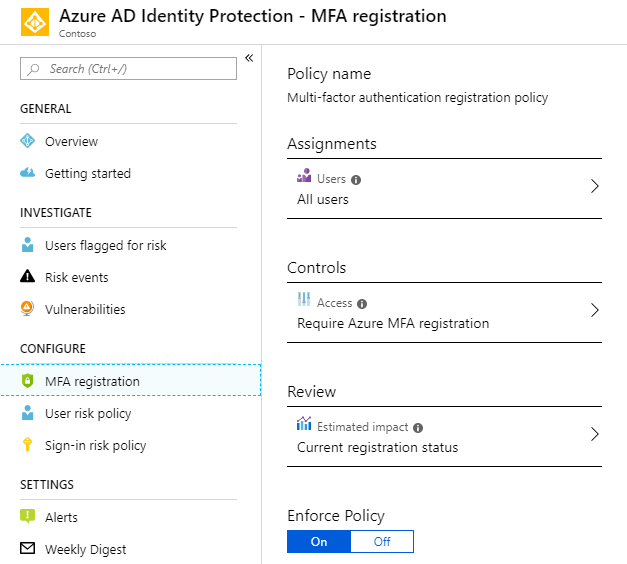 There is a baseline Conditional Access policy which when enabled will force users with any kind of admin role to MFA on every sign in, I enabled that policy in my demo tenant because the user I was testing with was a global admin, and I thought it needed to present an MFA challenge on every sign in for phone sign-in to work, but even with that policy disabled, phone sign-in works. But having said that, it’s a great idea to enable the baseline policy for your tenant and even remove unnecessary admin roles from users. We use Azure AD Privileged Identity Management (PIM) for that. Now if I look at that commandlet, new-azureadpolicy, there’s not much to it, but the thing that caught my attention was the parameter “-isOrganizationDefault”. 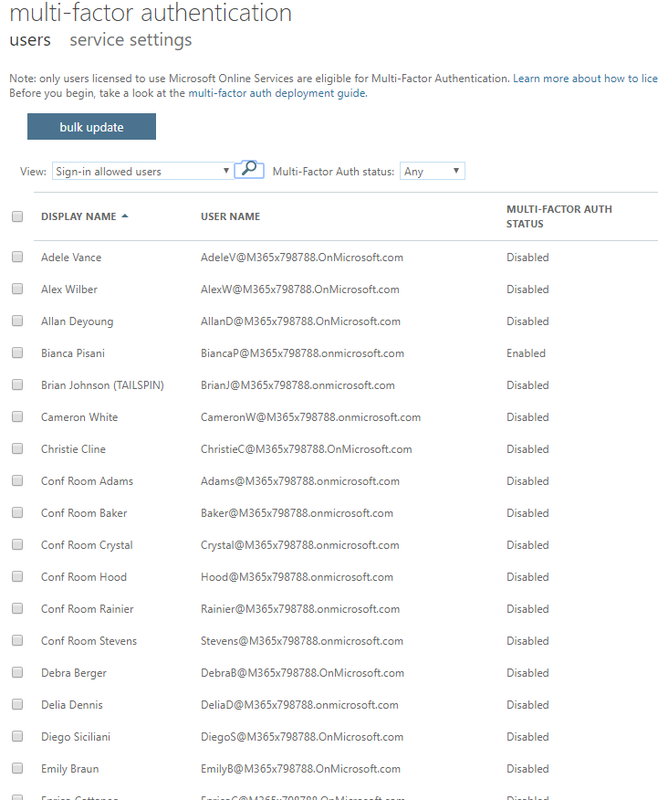 The New-AzureADPolicy cmdlet creates a policy in Azure Active Directory (AD). Specifies the type of policy. For token lifetimes, specify "TokenLifetimePolicy". This command creates a new policy. My thoughts were, well what if I wanted to roll this out to certain users in a staged manner, or only users with a certain domain suffix for example. Judging by the documentation on the commandlet help, there doesn’t seem to be a scoping option for the policy other than Org wide. So it’s either on or it’s off, but each user has to opt into the feature by enabling their account on the Authenticator App anyway so that is staged I guess. My other concern was how I was going to roll the policy back if I needed to. You’ll be pleased to know, you can simply “remove-azureadPolicy” to roll it back. 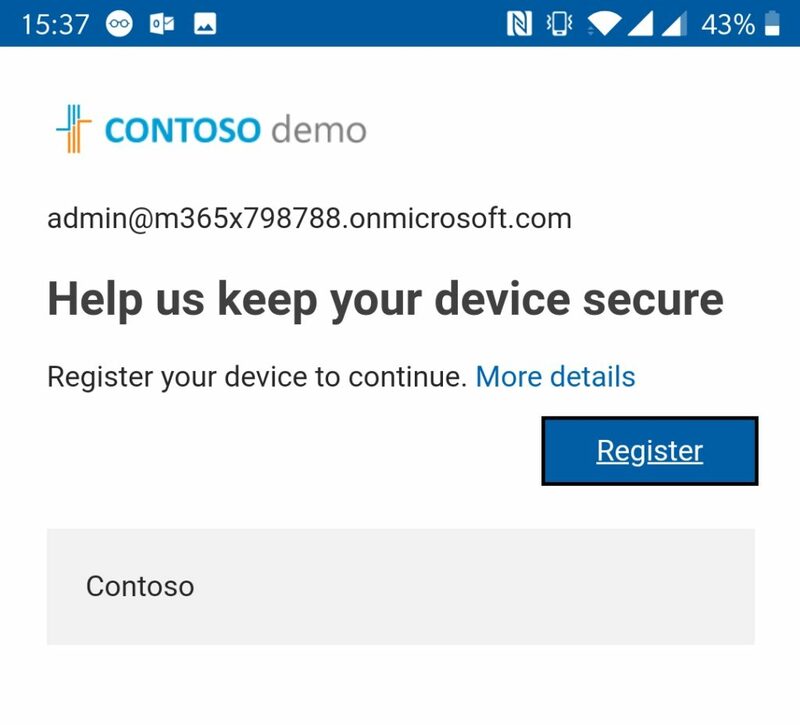 How to configure password-less (phone) sign-in for Office 365 or Azure AD? Below explains the steps required either by an Admin of the tenant or individual users to enable password-less sign in. Check the box next to Authenticator app and then click “set up authenticator app” button. If you see this icon showing you’re set up. If this icon appears next to your work or school account name, it means that you’ve already set up phone sign-in for the account. You might be asked to add push notifications for your account, so you can be notified about authentication requests outside of the app. 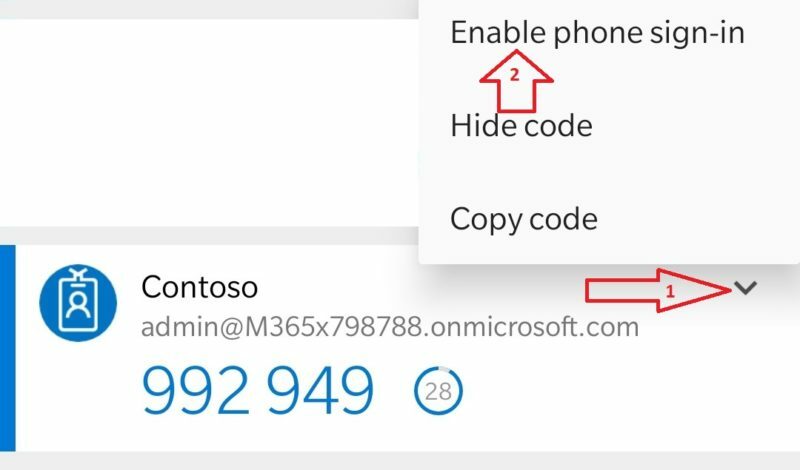 If you’ve already been using the app and two-factor verification, you can choose the drop-down arrow next to the account name, and then select Enable phone sign-in. If you can’t find your work or school account on the Accounts screen of the app, it means that you haven’t added it to the app yet. Add your work or school account by following the steps in the Add your work or school account article. That’s it, you are done setting passwordless sign-in up. 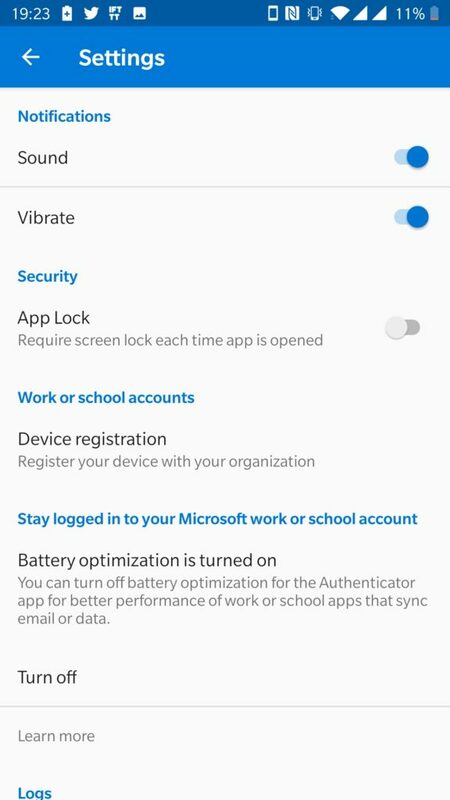 After you turn on phone sign-in, you can sign in using just the Microsoft Authenticator app. Sign in to your work or school account. 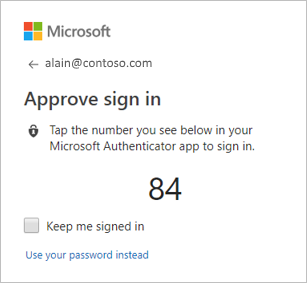 After typing your username, an Approve sign in screen appears showing you a two-digit number and asking you to sign-in through the Microsoft Authenticator app. If you don’t want to use this sign in method, you can select Use your password instead, and sign in using your password. 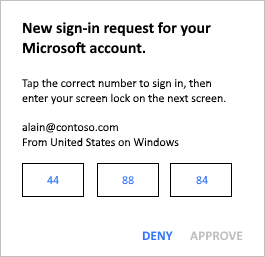 Open the notification or the Microsoft Authenticator app on your device, and then tap the number that matches the number you see on your computer’s Approve sign-in screen. Choose Approve if you recognize the sign-in attempt. Otherwise, choose Deny. Use your phone’s PIN or your biometric key to complete the authentication. Should you prefer typing in a password each time (yuk!) then you can revert to password sign on by unregistering your phone. You will still be able to use the Authenticator App for MFA codes when required to do so. Then, click unregister. 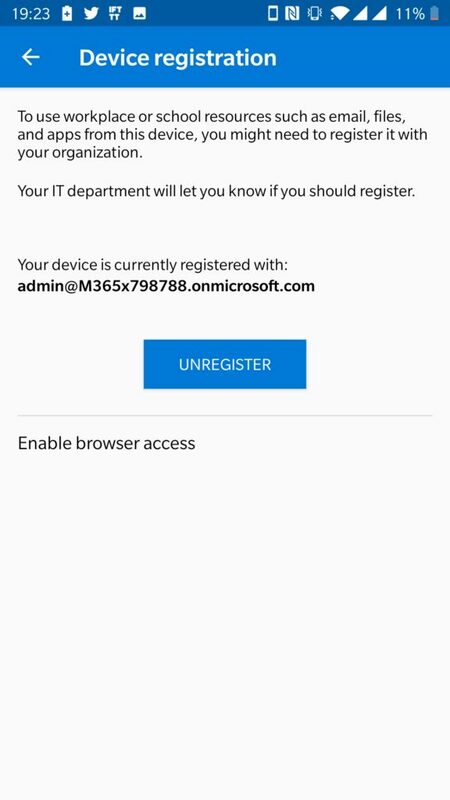 The phone will be unregistered from AAD and the phone sign in will be disabled for your user account only. To revert this functionality for the entire tenant, simply remove the Azure AD policy that was created when you enabled it.